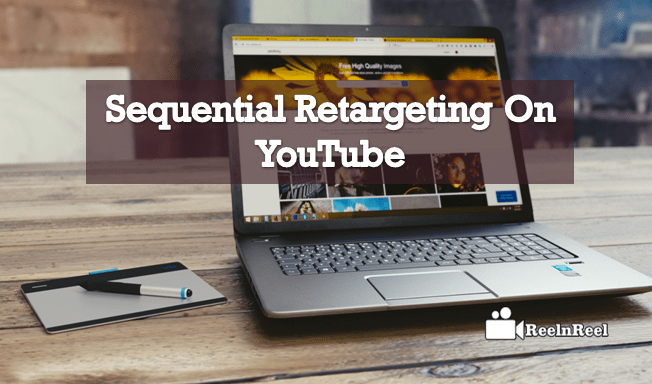 Have you ever used the tactic of Sequential Retargeting on YouTube? How to boost the video ad campaigns by retargeting the audience? How to setup Sequential Retargeting on YouTube? It is the process of remarketing the video ad campaigns on YouTube by targeting the audience basing on the previous videos viewing experience of the audience in AdWords. The Sequential retargeting is the best YouTube advertising tactic to gain the customers from more viewers. The YouTube channel visitors and viewers can be targeted by delivering the video ad campaigns through the Sequential Retargeting approach on YouTube. The new customers can be obtained from the audiences. The audiences on YouTube can be re-engaged by using the concept Sequential Retargeting. This can be done by considering the likes, subscriptions, comments, views, and shares of the video. The new episode videos can be delivered to the YouTube audiences who watched similar type of videos on YouTube. The subscribers of your YouTube channel can be targeted by maintaining the secrecy in the upcoming project which makes the audience to enable their notification tab to get the updates from your channel. The investment in collaborative games will help to launch the pre-roll video ad that keeps the audience engagement. By picking the videos which have obtained more likes, comments, views, and shares you can retarget those audiences to deliver the same concept video ad campaigns. Retargeting the local audience to serve the video ad campaigns is the most useful one to gain the engagement of the audience. The views obtained are the most important aspects to retarget the YouTube audiences by creating the relevant video ads. By the similar video, name adds each video ad in the ad group. With the help of this ad group the keywords, similar audiences, visitors, and lists of the customer intended can be targeted. The keyword can be targeted in the second ad group similar to the initial video ad group. 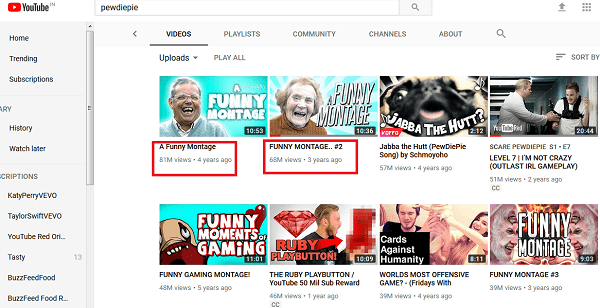 For example, the ‘Funny Montage #2’ followed by ‘A Funny Montage’ of PewDiePie’s channel is the best keyword in that channel that has obtained millions of views. Perhaps that is the most viewed video on that channel. The impression frequency should be adjusted to how frequently you enable the audiences to the sequence. The long form in-stream video ad campaigns that enable the audience not to skip will direct to another problem. The shared video ad consumption occurs when the shorter format of video content is dispatched to the audience. Google AdWords will provide the tools to serve the video content in order to find whether the promoted video ads are going properly. The sequence of video ads can be served by retargeting the audience through AdWords Audience manager. By using the “YouTube users” option in AdWords Audience Manager the new list can be created. Then give the Audience Name as to recognize and remember well. Go to the list members field then select the ‘viewed certain videos ads’. Then pick the specific video by searching. At the end of the URL of the video, the identifier helps in searching. After having the audience just save it. To add the videos in the sequence repeat this process until to find the better serving video ads. After framing the separate retargeting lists then set up for each video. To do that here to follow. Select the video that you want to serve the audience initially. By choosing the ‘Custom Combination’ another list should be created. The inclusion parameter can be changed to ‘Any of these audiences’. Hit on ‘Done’ after adding the video to the targeting. By choosing the ‘And’ option add another set of audiences where you need to pick the ‘None of these audiences’. Now add the remaining videos to the ‘None of these audiences’ from the sequence. The first retargeting step can be finished by clicking ‘Done’ to create the audience. Establish the high-level video ad campaign that builds the awareness about the upcoming and provides much interest in the audience. The audiences who have watched the new notice then re-engage them by a case study or unboxing videos of the products. Through this, the audience who are much interested can be found to engage with your video ad campaign that let them engage with your channel. Collect the audiences who are most engaged with the product videos as another group. Then make a strategy to drive the sales full by moving towards the conversions. To launch the successful brand promotion through the launch of video ad campaigns make sure to build the Sequential Retargeting method on YouTube. It boosts the performance of your video ad campaign by clutching the millions of audiences and it also helps to get customers from audiences.